In February 1943, hundreds of German women joined in a spontaneous protest in central Berlin. They were objecting to the roundup of some of the city’s last Jews — their husbands. In this week’s episode of the Futility Closet podcast we’ll describe the Rosenstrasse protest, a remarkable example of civil disobedience. We’ll also ponder whether a computer can make art and puzzle over some unusual phone calls. French street artist JR has twice transformed I.M. Pei’s iconic pyramid at the Musée du Louvre in Paris. In 2016 he made it disappear by overlaying one face with an image of the background facade. And just this month (below) he applied 2,000 stickers to the surrounding pavement to create an anamorphic illusion in which the pyramid seems to rise from a crater. 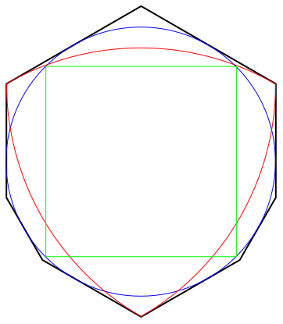 Here Pál’s shape manages to surround a circle (blue), a Reuleaux triangle (red), and a square (green), each of diameter 1, and in fact it will accommodate any such set. 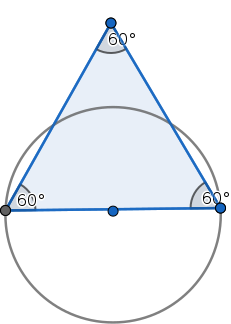 Its own area is 0.84529946. Will a smaller shape do the job? Well, yes, but the gains get increasingly fine: In 1936 Roland Sprague whittled Pál’s shape down to 0.844137708436, and in 1992 H.C. Hansen reduced it further to 0.844137708398. At this point observers Victor Klee and Stanley Wagon wrote, “[I]t does seem safe to guess that progress on [this problem], which has been painfully slow in the past, may be even more painfully slow in the future.” But in 2015 John Baez reached 0.8441153 with an exquisite adjustment to two regions in Hansen’s shape; the smaller of these would span only a few atoms if the shape were drawn on paper. Is that the end of the story? No: Last October Philip Gibbs claimed a further reduction to 0.8440935944, and the search goes on. 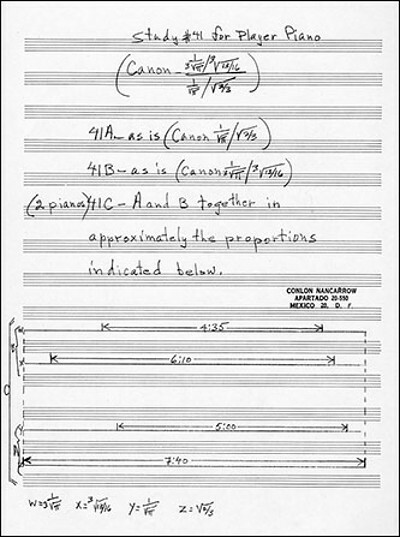 In 2005 Peter Brass and Mehrbod Sharifi showed that the universal cover must have an area of at least 0.832, so there’s room, at least in theory, for still further improvements. Anthony Howe creates wind-driven sculptures that somehow evoke both marine biology and alien machines. More at his YouTube channel. 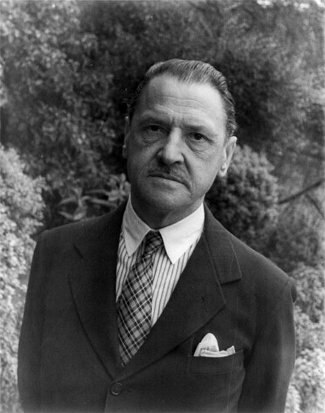 How Socratic is Somerset Maugham! What is virtue to him but a norm? And all evil is merely bad form. In a 2009 study of responses to music, neuroscientist Valorie Salimpoor and her colleagues asked participants to bring in 3 to 5 pieces of “intensely pleasurable instrumental music to which they experience chills.” Then they measured their physiological response as they listened. They found that the “chills” effect is real — when the subjects reported that their pleasure at the music was highest, so was their sympathetic nervous system activity, a measure of emotional arousal. While working on his chemistry doctorate in 1947, Isaac Asimov was dissolving catechol in water when it occurred to him that if it were any more soluble it would dissolve before it even touched the surface. Amused by the idea, he invented a fictional substance called thiotimoline, one of whose chemical bonds projects forward into the future and another backward into the past. This makes the chemical “endochronic”: It starts dissolving before it makes contact with water. His first thought was to make this into a science fiction story. It occurred to me, however, that instead of writing an actual story based on the idea, I might write up a fake research paper on the subject and get a little practice in turgid writing. I did the job on June 8, 1947, even giving it the kind of long-winded title that research papers so often have — ‘The Endochronic Properties of Resublimated Thiotimoline’ — and added tables, graphs, and fake references to non-existent journals. John W. Campbell of Astounding Science Fiction accepted the article and agreed to publish it under a pseudonym, lest it alienate Asimov’s examiners at Columbia. In the end he published it under Asimov’s own name, but there was no harm done — the examiners joked about it at his defense and it even brought him some fame among chemists. He went on to write three short stories about the substance — which has taken on a rich existence in the hands of other authors. What constitutes a hole? We recognize and refer to holes as we do ordinary material objects, but a hole doesn’t seem to have a material existence. A hole has a “host” (say, a doughnut), and it may have a “guest” (say, air), but neither of these is itself the hole. Somehow the hole is a something that’s made of nothing. Bargle. How can something utterly devoid of matter be made of matter? Argle. You’re looking for the matter in the wrong place. (I mean to say, that’s what you would be doing if there were any such things as places, which there aren’t.) The matter isn’t inside the hole. It would be absurd to say it was: nobody wants to say that holes are inside themselves. The matter surrounds the hole. The lining of a hole, you agree, is a material object. For every hole there is a hole-lining; for every hole-lining there is a hole. I say the hole-lining is the hole. Bargle. Didn’t you say that the hole-lining surrounds the hole? Things don’t surround themselves. Argle. Holes do. In my language, ‘surrounds’ said of a hole (described as such) means ‘is identical with’. ‘Surrounds’ said of other things means just what you think it means. Bargle. Doesn’t it bother you that your dictionary must have two entries under ‘surrounds’ where mine has only one? Also: If I fill in a hole in the ground, have I destroyed it? If I dig again in the same place, am I creating a new hole or restoring the old one?